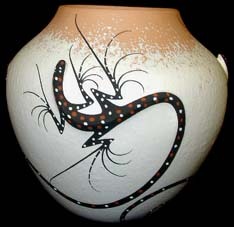 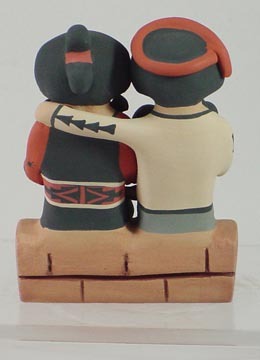 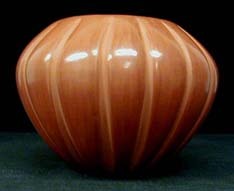 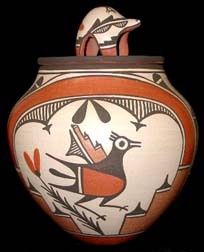 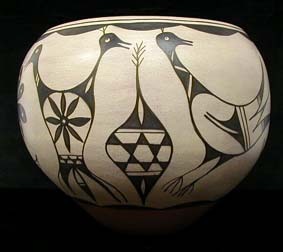 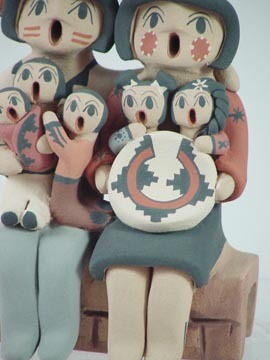 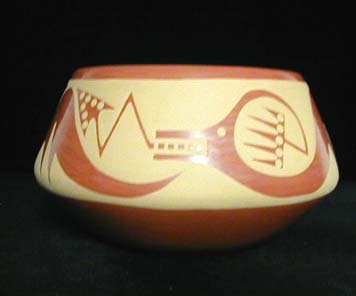 Chrislyn Fragua is a 30 year old Native American potter from the reservation of Jemez Pueblo. 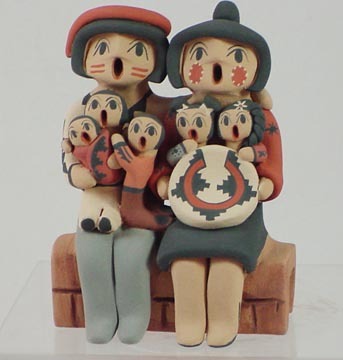 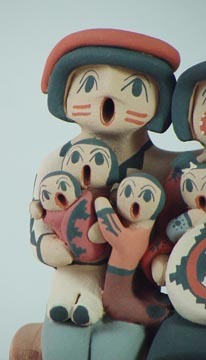 She has been making pottery, storytellers and other figures since the age of twelve. 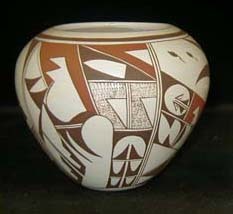 Her mother Linda Lucero-Fragua took the time to teach her how to make pottery and taught her to get the clay from the hills of Jemez. 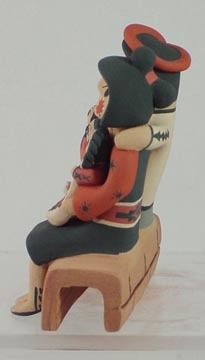 She is now passing the skills on to her daughter, Anissa Tsosie, who is nine years old. 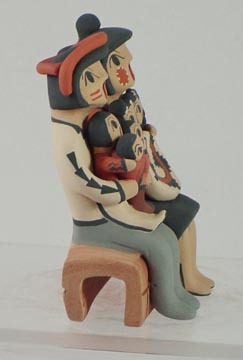 The couple storyteller in this piece is sitting on a bench and is singing to five children.